Alright beauties!!! This is gonna be another outfit post! Very vibrant and colorful! 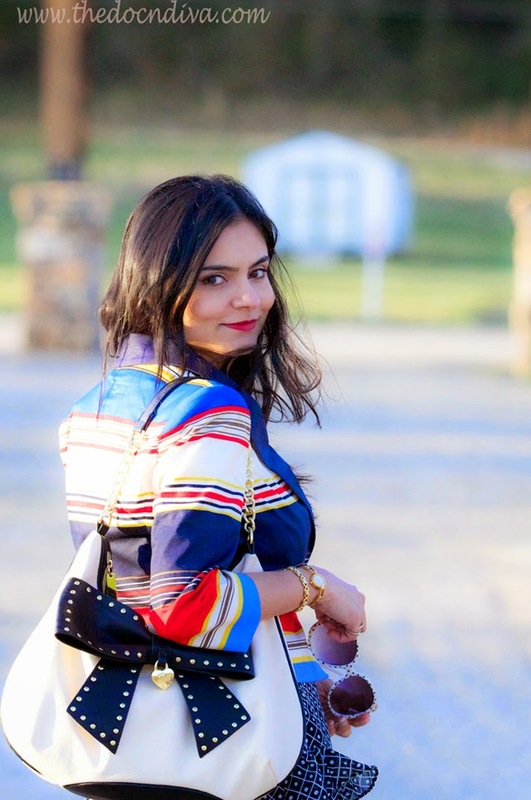 If you follow "thedocndiva" on facebook and/or instagram, you already know, how much I am in love with my new multi-colored striped cropped jacket, my polka dot sunnies and my bow bag. Already, wore them together at least three times, mixing and matching differently each time. I always wanted to pair this aline skirt with a striped top. Although, I never imagined it would be a jacket, it fits my taste to the tee. Don't you think the polka-dot sunglass is the perfect choice with this mix-n-match? 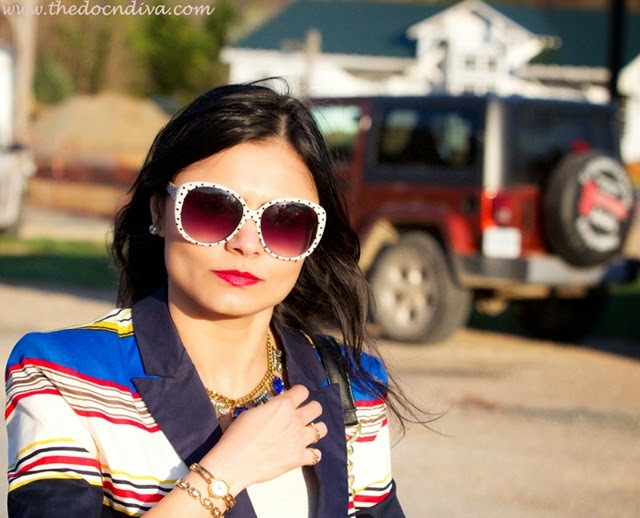 Natural eye, Red lips and golden accessories with pop of blue in statement necklace and pearl studs! Done! And, did I brag about my bow-bag before? Enjoy the weather outside and have fun in spring! Thank you so much for visiting us! U look gorgeous as always. Love the bow bag.